Exporting Doc to JPEG is the best variant, if you need to create compact images from your Doc originals. If you require providing this functionality for multiple users, there is no need to install individual desktop license to all user computers. 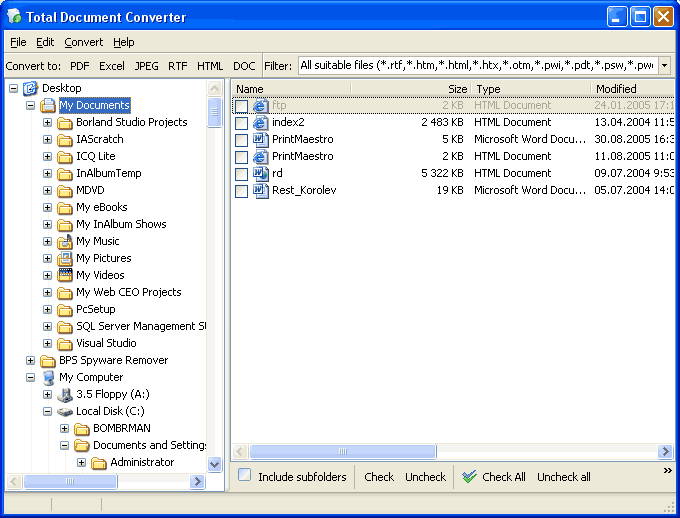 CoolUtils offers Doc JPEG converter for web-server installation. Total PDF ConverterX can be used in multi-user mode as a standalone command line utility or be integrated into another client-server application. It is an SDK that can be adjusted for specific user needs. When converting Doc into JPEG through web-server, you need only one license to process conversion requests from multiple users. This is very handy for providing converting facilities for corporate needs or implementing them into another web service. These parameters are set in the command that includes application invocation, source files address, destination address for the future JPEG copies, target format and conversion parameters. The parameters are very easy in operation. When you are running default Doc to JPEG converter no GUI is provided, just command line mode. If needed, Doc to JPEG conversion can be integrated into a web interface. Special for this CoolUtils provides ActiveX together with the converter. In order to automate the process of conversion, you can use Total Folder Monitor. This tool gives ability to convert Doc files sent to specific folder on a server regularly. You can set the frequency of conversion cycles, conversion settings, etc. As a result you will spend minimum time to organize automatic conversion process for the whole office or network. Total Doc ConverterX is already available for download. Choose the version you need (licensed or trial) and get it here.